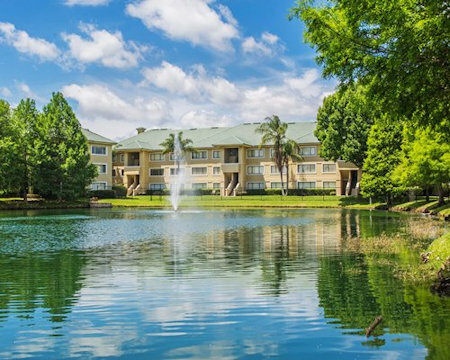 Buy a 7 Night Stay in a 1 Bedroom Suite at Silver Lake Resort in Kissimmee, Florida NEAR ORLANDO! 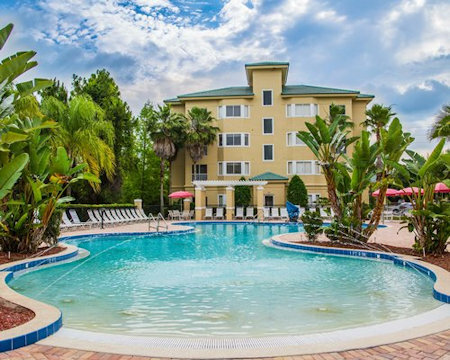 Silver Lake Resort in Orlando, Florida NEAR DISNEY - Buy a 7 Night Stay in a 1 Bedroom Suite with Full Kitchen! 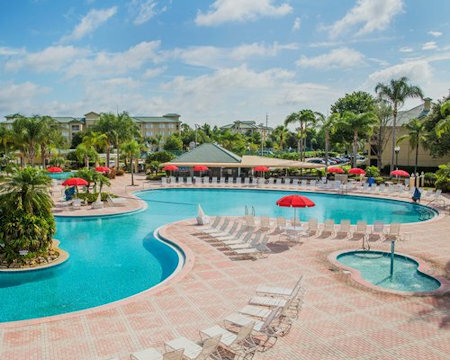 Enjoy 7 Nights in a 1 Bedroom Suite at Silver Lake Resort in Kissimmee, Florida NEAR DISNEY! Even though there are many attractions in the area, you will find yourself spending a lot more of your time enjoying the amenities of the Silver Lake Resort, which includes a movie theater, game room, cabana bar, clubhouse, fitness center, three pools, tennis courts, basketball courts, and simulated golf course. A weekly schedule of on-site activities is centered around the spectacular heated outdoor pool and gorgeous clubhouse. 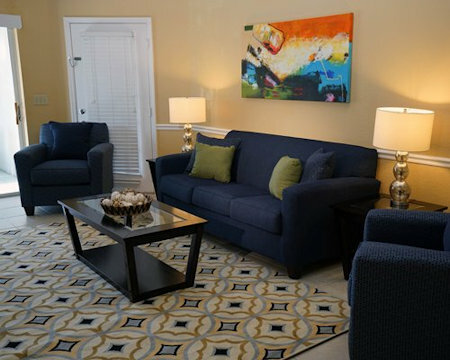 Complimentary WI-FI is available in the common areas and in your unit. Silver Lake Resort shares its backyard with Walt Disney’s Animal Kingdom and is conveniently situated just two miles west of the Walt Disney World® Resort’s main entrance. When you are not taking in the sites and sounds of Disney, consider going on one of Wild Willy's Airboat Tours or enjoy a hot air balloon ride courtesy of Orlando Balloon Rides. Visit Old Town for shopping, amusement rides, and live family entertainment. 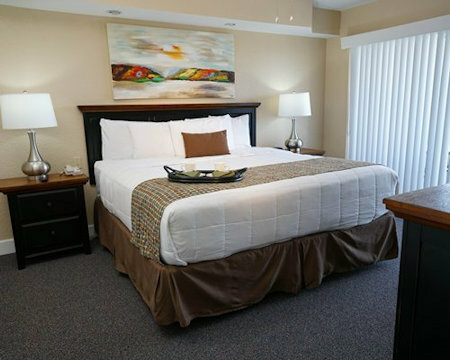 Spacious, air-conditioned accommodations are perfect for vacationing families or couples enjoying a getaway. All accommodations come with kitchen facilities that include a microwave, and for added comfort and convenience, some units also feature full kitchens as well as dishwashers and washer/dryers. Your 1 BEDROOM SUITE will sleep up to 4 guests and has a full kitchen.